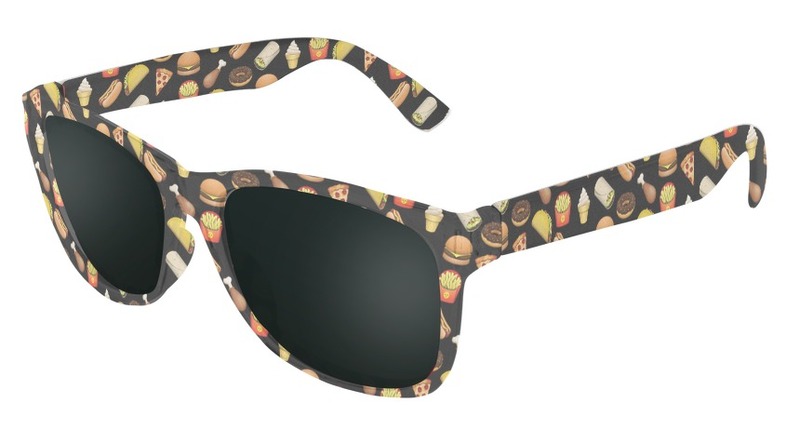 Food Emojis custom sunglasses feature Canvas Eyewear's favorite foods in emoji form on frost temples and a frost front frame with premium smoke lenses. We hope you're hungry! 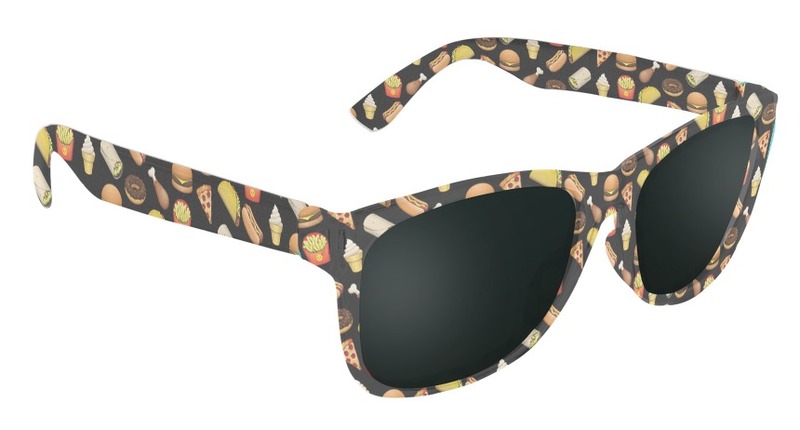 The food emojis included in this custom sunglasses design are the cheeseburger emoji, french fries emoji, hot dog emoji, doughnut emoji, ice cream cone emoji, chicken leg emoji, taco emoji, and (our team's personal favorite) burrito emoji. This custom sunglasses design is part of Canvas Eyewear's Emoji Collection, and is available exclusively here on CanvasEyewear.com!